OK so you all know actor/director Jon Favreau. I am a HUGE fan of Favreau. I think he is one of the most talented people in hollwood..period. Before I show the screw up, I need to make a sports connection. 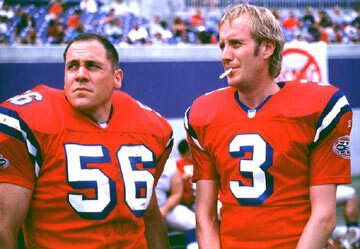 This one is VERY easy..Jon was in one of the GREATEST sports movies of all time. If you were a man, and didn't cry when Rudy got on the field..you have no heart! 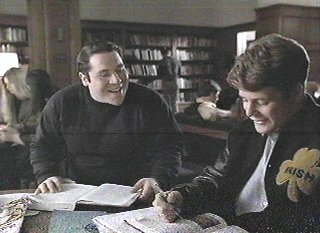 OK Here is Jon Favreau as Rudy's best buddy. In the interest of equal time...he was also in one of the WORST sports movies of all time.